The talk show host is looking after her well-being. 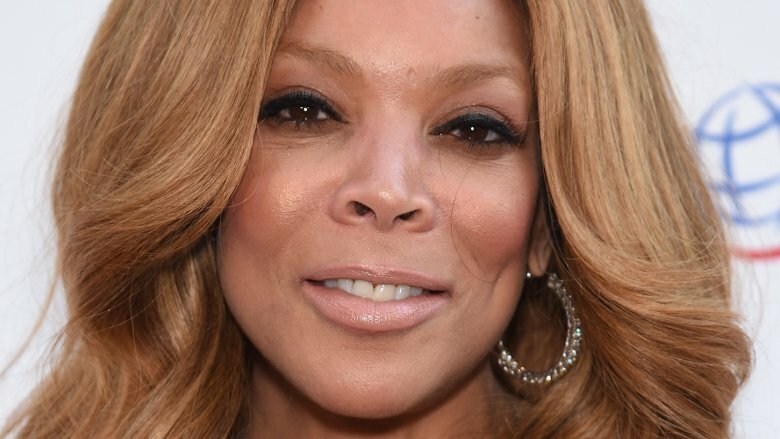 Us Weekly reports that Wendy Williams has canceled the tapings of her show, The Wendy Williams Show, after falling ill. In a statement shared on Wednesday, Feb. 14, 2018, the 53-year-old's rep told the magazine, "Wendy is still experiencing flu-like symptoms and so she can rest up and get better, we have decided to cancel tapings the rest of the week." She'd previously canceled her Valentine's Day show, airing a rerun that day instead (via Us Weekly). In a video on her Instagram page, Williams revealed that she'd been feeling "awful" and was planning on seeing her doctor. She also shared that she had to be convinced to take time off to care for herself, as she hates missing work. Unfortunately, this isn't the first time that Williams has experienced health issues in recent months. As Nicki Swift previously reported, Williams passed out on live TV during the show's Halloween episode in 2017. Dressed as the Statue of Liberty, she appeared to struggle with her words before stumbling backwards and falling onto the floor. Williams later responded to the incident, telling fans that it was "not a stunt" and claiming that she'd been overheated in her costume.